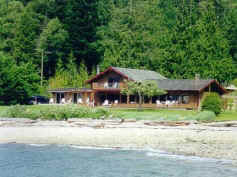 Deluxe two-bedroom waterfront cottage/suite on low-bank Frolander Bay, 15 minutes south of Powell River. Rooms with queen-size or twin beds, en-suite bathrooms, fully equipped kitchen with all amenities, dining & living area, satellite TV. All rooms with ocean view. Minutes from the famous Powell River Canoe Route, Myrtle Point Golf Course, and the 180 km long Sunshine Coast Hiking Trail. Beacon B&B and Spa offers a relaxed getaway experience. 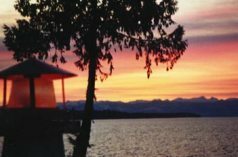 Our modern, centrally located home has an unsurpassed view of Georgia Strait. There is ever changing activity to view from the common areas or our lovely Sunset Suite. Guests come for 1 night and wish they could stay for more. Pamper yourself with a nurturing massage from your hostess. Please visit our website for a very detailed listing of activities of the area and further information about our property. We work with you to make your holiday the best it can be.